The Hadassah Foundation: Meet the 2016 Tannenbaum Prize Winner! The Hadassah Foundation is thrilled to announce that Lilach Tzur Ben-Moshe, who does ground-breaking work with women attempting to exit prostitution, has been awarded the 2016 Bernice S. Tannenbaum Prize! 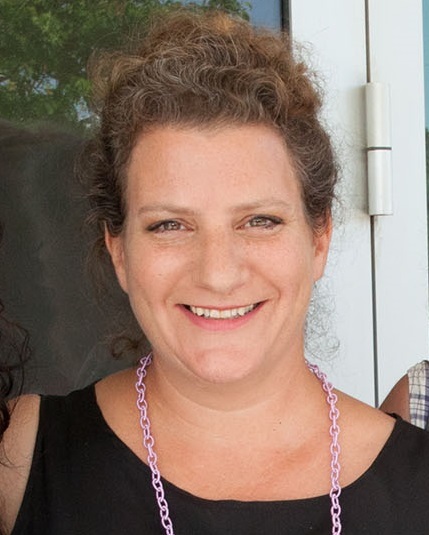 Tzur Ben-Moshe is the Founder and Executive Director of Turning the Tables, a Tel Aviv-based organization that provides economic alternatives to women exiting prostitution. Since 2011, Turning the Tables has trained these vulnerable women for jobs in the fashion industry. They are taught how to sew, make patterns, design clothes, and market their goods; one successful graduate has created a critically-acclaimed clothing line! The program, which is supported by the Hadassah Foundation, has enabled dozens of women to begin a new life with dignity, including a legal way to make a living. "It is a great honor to accept this award from the Hadassah Foundation, which bravely recognizes the diverse challenges that women in Israel still face," said Tzur Ben-Moshe. "Tens of thousands of women and girls in Israel are trapped in the cycle of prostitution and addiction. Turning the Tables is sending the message to them and to women in general that we see them and reach out to them." אישה ראויה בכל מובן! כל הכבוד.